It’s pancake day, I did have another #tastytuesday lined up, but I couldn’t not make pancakes. 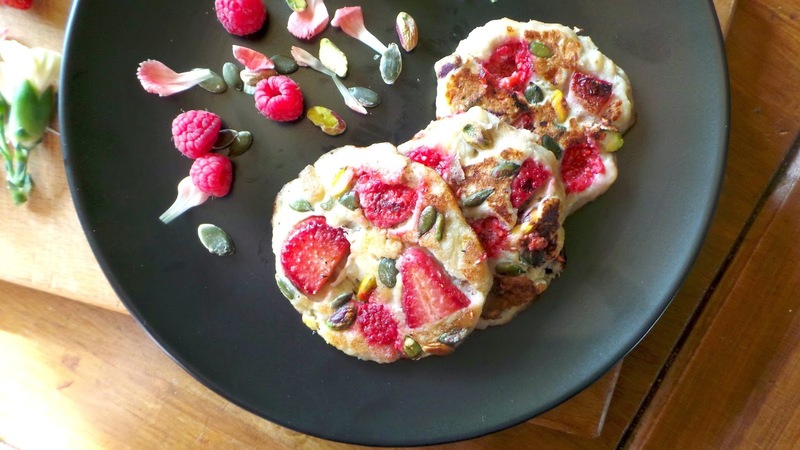 I’m also on a healthy lifestyle change at the moment so I’ve gone for my beloved two ingredient pancake, as the base with lots more healthy flavours added in. 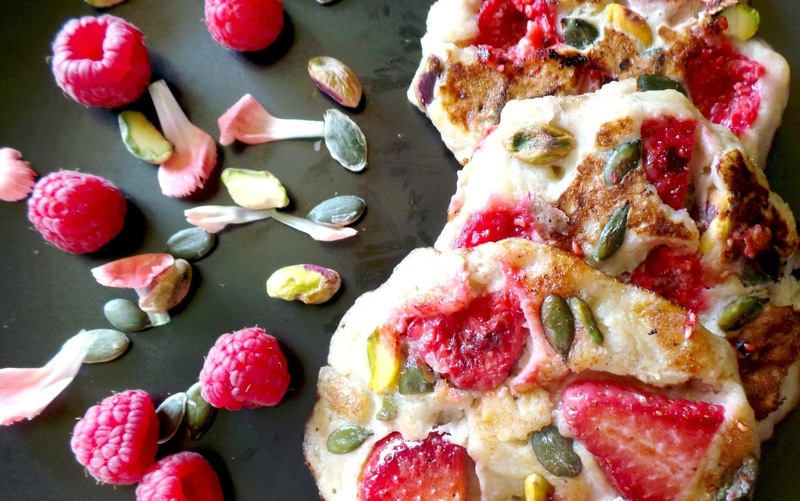 You will need: 2 ripe bananas, 1 large egg, handfuls of raspberries, strawberries, pistachios and pumpkin seeds. Start by putting your two bananas into a bowl, break them up into sections then mash into a paste with a fork. Once you have your bananas mashed, add in the egg and beat it into the mixture. Now you have your base mixture ready, get a non-stick frying pan and add a little splash of oil. Put your mixture into small circles, while waiting for the first side to cook add on a few of your strawberries, raspberries, pumpkin seeds and pistachios. Make sure you press them into the mixture a bit so they don’t fall out when you flip it over. It takes about 2-3 minutes on each side then repeat as many times as you want. It’s pancake day so we are allowed to pig out a bit. For a twist and to make it even more delicious have a little bowl on the side with either Nutella or maple syrup. 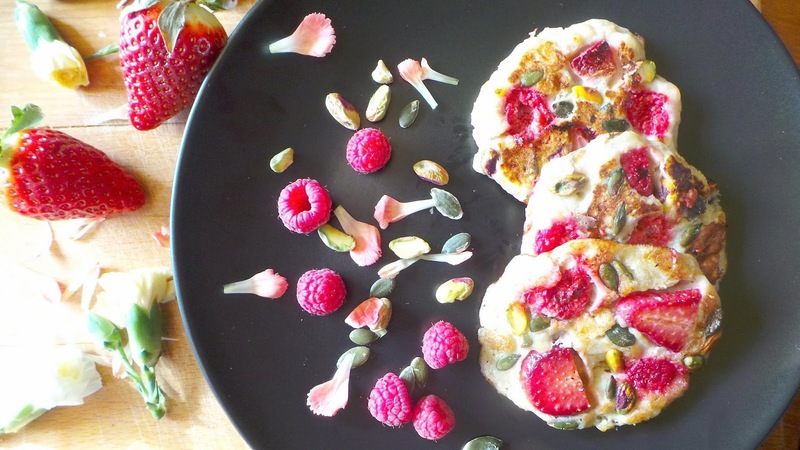 There you have it, delicious low calorie pancakes, which are gluten, dairy and wheat free! What’s your favourite topping on your pancake?